This was the band that also once featured Gary Wright of “Dream Weaver” fame, the man who now runs Foreigner Mick Jones, Greg Ridley of Humble Pie, Chris Stainton who played with Joe Cocker and Eric Clapton, Henry McCullough who also played with Cocker, Wings, Roy Harper, John Hawken of Strawbs and Renaissance. 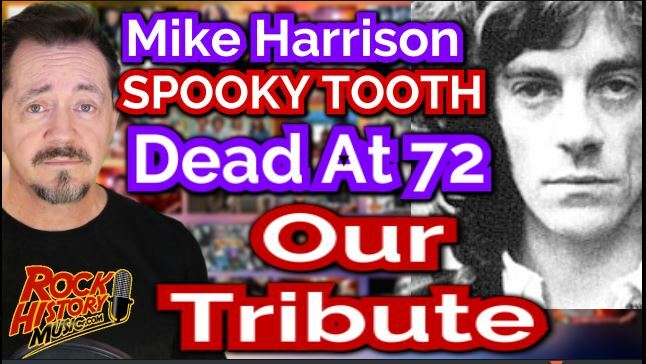 Spooky Tooth had some amazing musicians in that band and Harrison was a perfect example of that. He was one of the founders of the band which sprouted out of the V.I.P.’s with Ridley and Luther Grosvenor (who would later Join Mott the Hoople), Mike Kellie. Keith Emerson was also in the band until he left to form The Nice. THE V.I.P.s turned into Art which turned into Spooky Tooth. The band was never a commercial success even though they had this raw blues rock feel that was quite common especially in the early 70’s. Gary Wright was their creative driving force writing most of their early material while he shared the vocals with Harrison. Probably their high point was “Spooky Two” the sophomore album. If you want an introduction this is the album to taste test this band on. Everything went to hell with the next project which would be a collaboration with french electronic musician Pierre Henry. It’s been described as one of the biggest Rock and Roll screw ups of all time. This album still sounded like the old band but with strange noises throughout. It’s a weird project. Gary Wright wanted Henry on the album and co-wrote every tune on the project with him but left the band after it came out. The band would break up in 1970, then they reunited in 1972 with Gary wright in tow. They bowed out in 1974 until a reunion in 1997. Harrison recorded a handful of solo albums then actually left the music business until Spooky Tooth reunited in 1997 – this time without Gary Wright. He made a living driving delivery trucks. He also played with the Hamburg Blues Band. There was another Spooky Tooth reunion in 2004 this time with Gary Wright which resulted in the concert DVD release called Nomad Poets. They also played together in 2008.